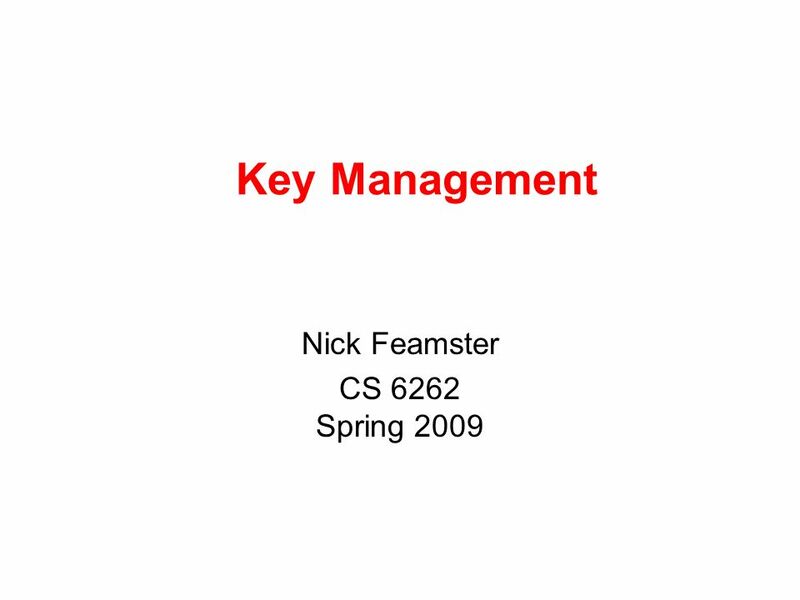 Key Management Nick Feamster CS 6262 Spring 2009. 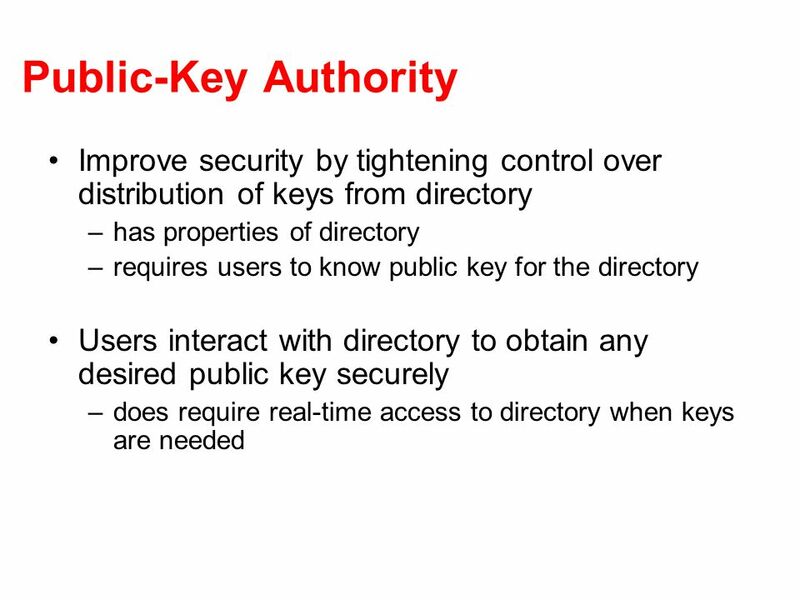 Download ppt "Key Management Nick Feamster CS 6262 Spring 2009." 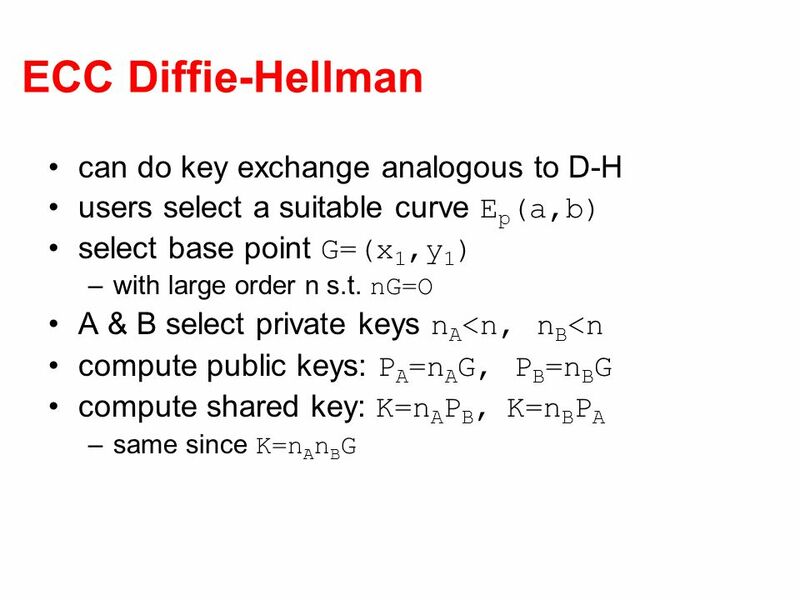 Public Key Cryptography Nick Feamster CS 6262 Spring 2009. 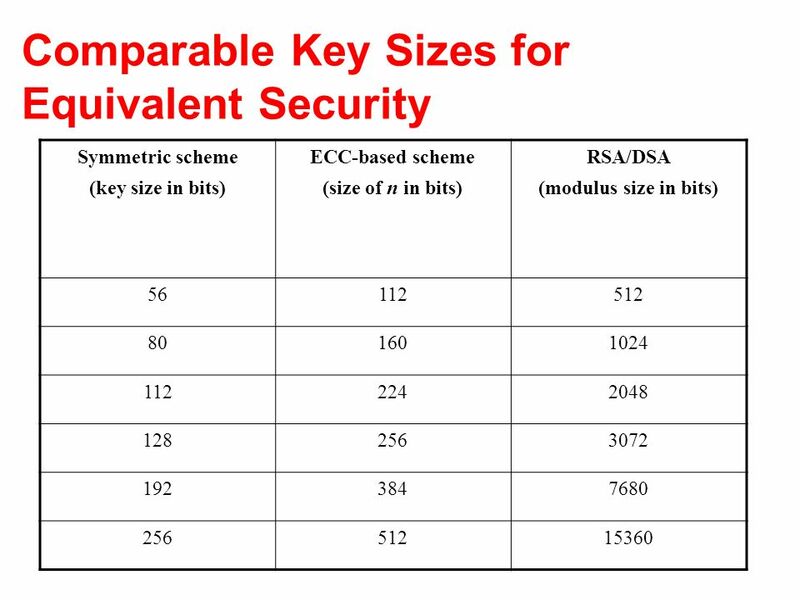 Unit 1: Protection and Security for Grid Computing. 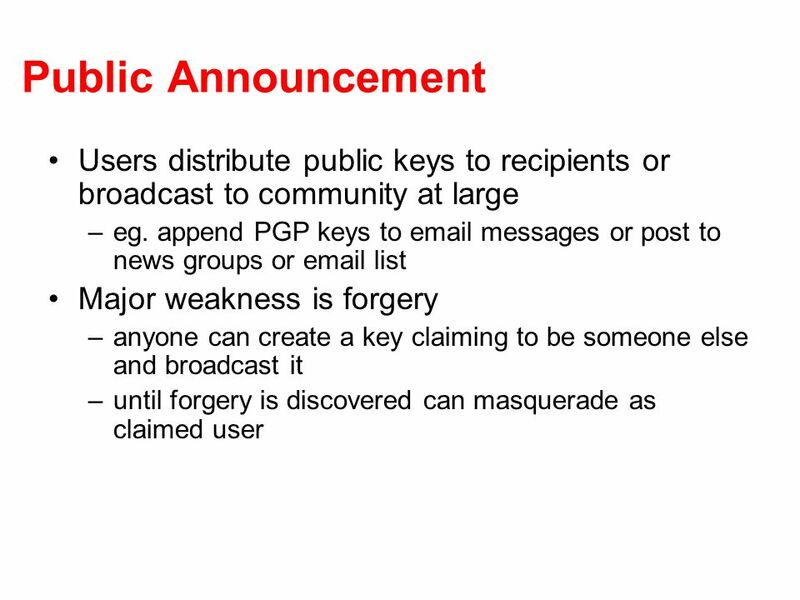 Fall 2008CS 334: Computer Security1 Crypto Conclusion Message Authentication Codes Key Management. 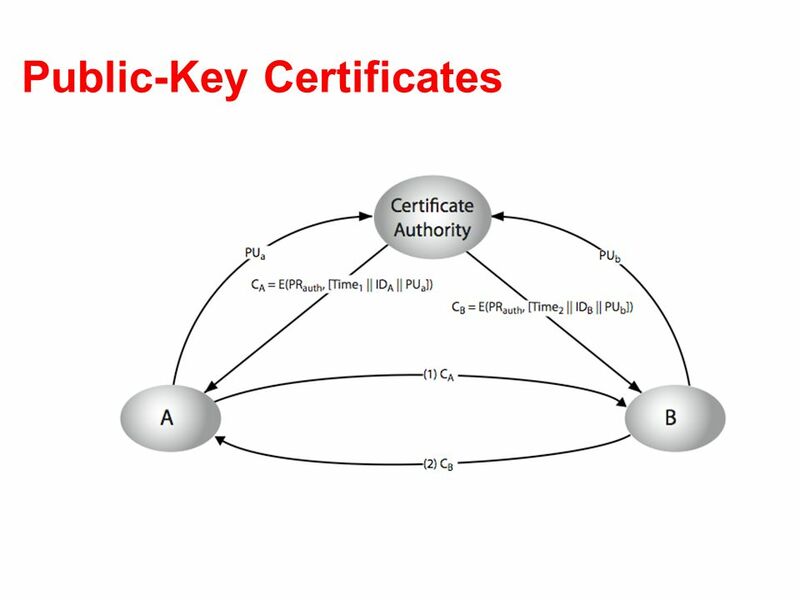 1 Digital Signatures & Authentication Protocols. 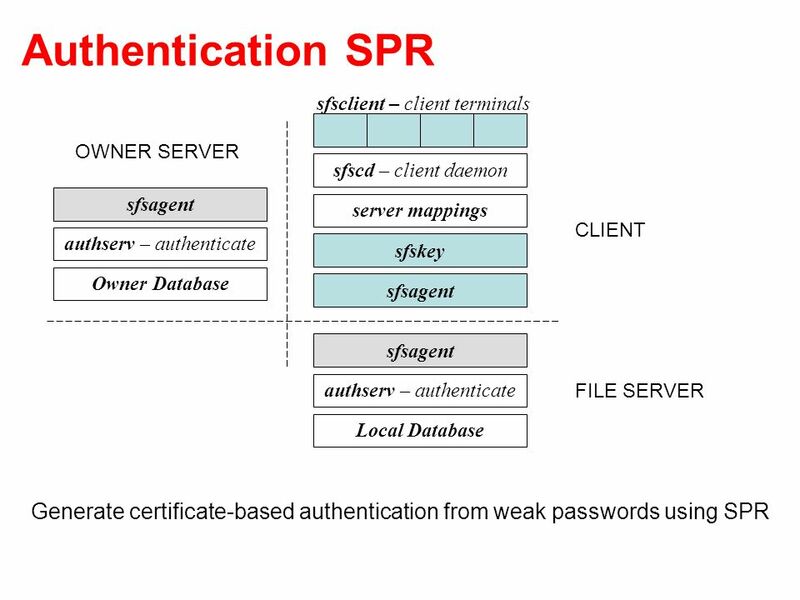 2 Digital Signatures have looked at message authentication –but does not address issues of lack of trust. 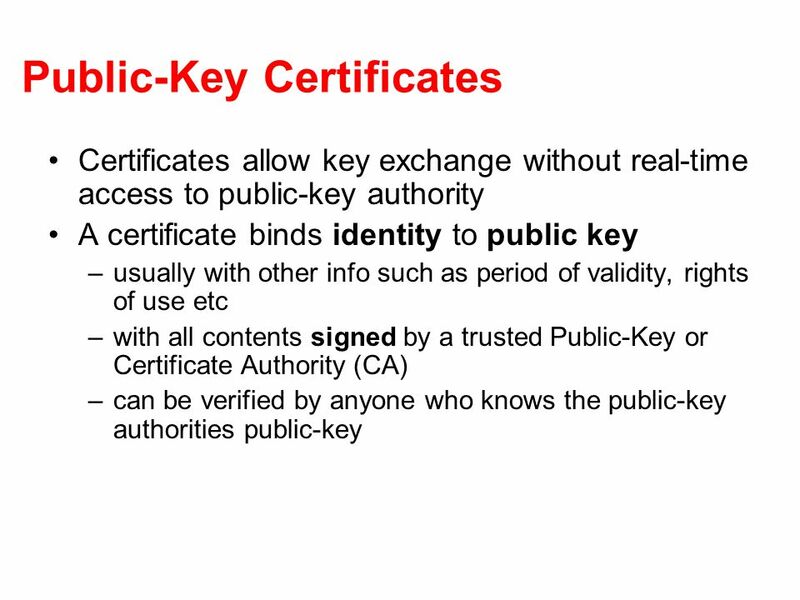 Public Key Algorithms …….. RAIT M. Chatterjee. 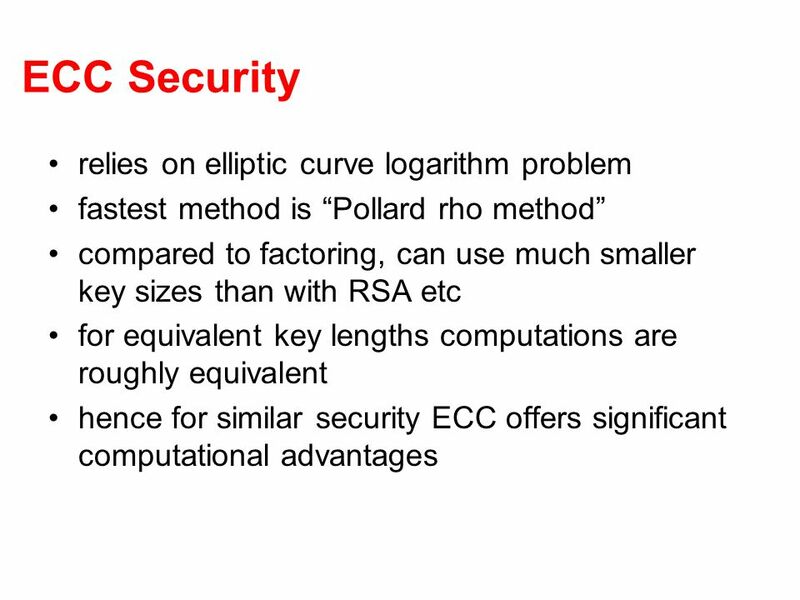 YSLInformation Security -- Public-Key Cryptography1 Elliptic Curve Cryptography (ECC) For the same length of keys, faster than RSA For the same degree. 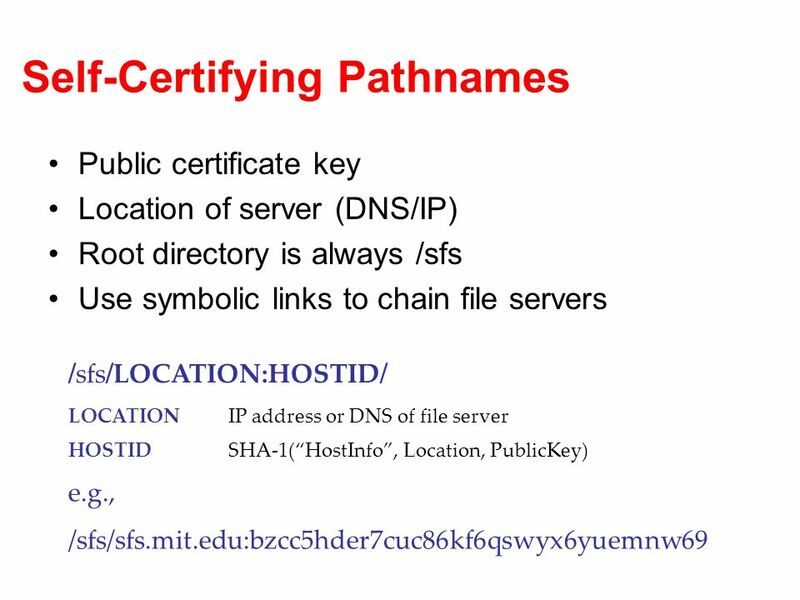 Dr. Lo’ai Tawalbeh Summer 2007 Chapter 9 – Public Key Cryptography and RSA Dr. Lo’ai Tawalbeh New York Institute of Technology (NYIT) Jordan’s Campus INCS. 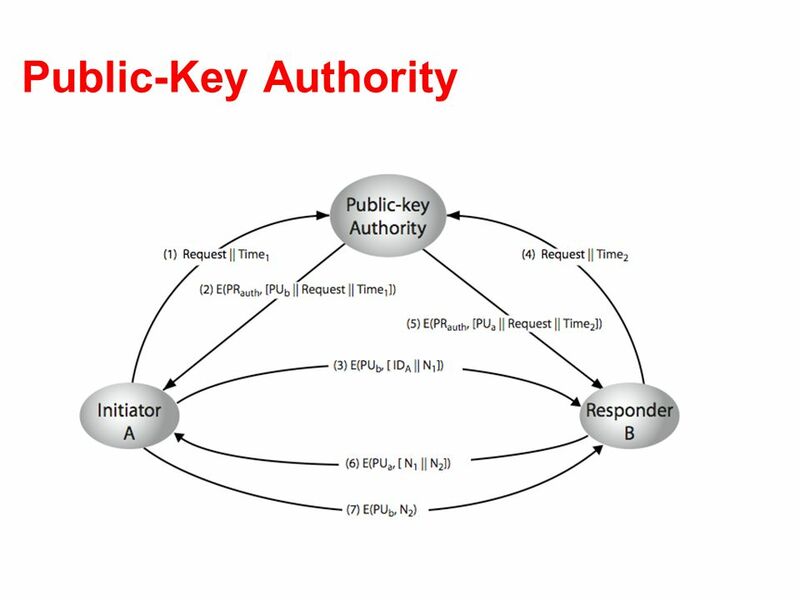 November 1, 2006Sarah Wahl / Graduate Student UCCS1 Public Key Infrastructure By Sarah Wahl. 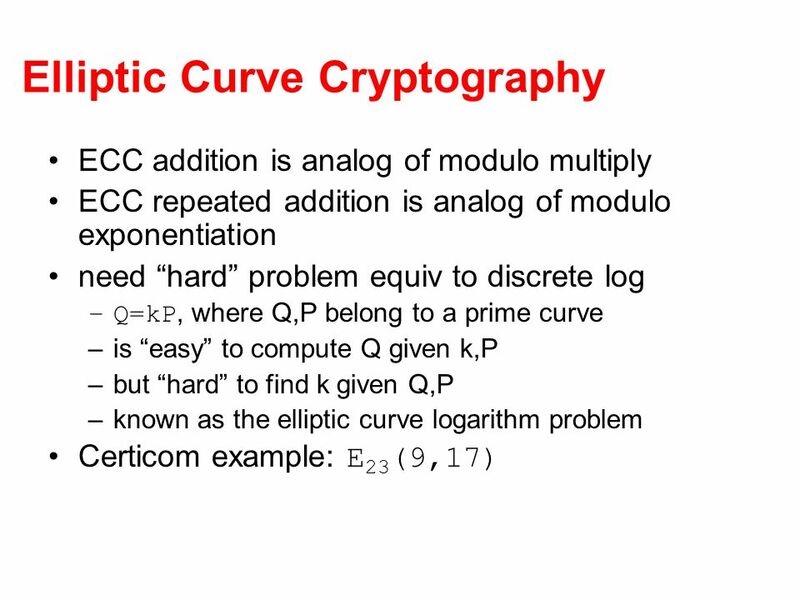 Cryptography1 CPSC 3730 Cryptography Chapter 10 Key Management. 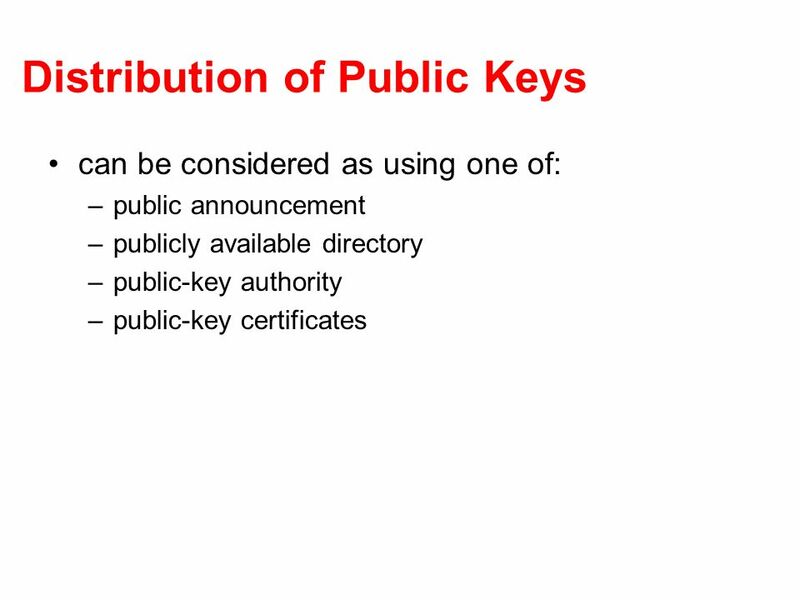 Key Management public-key encryption helps address key distribution problems have two aspects of this: –distribution of public keys –use of public-key. 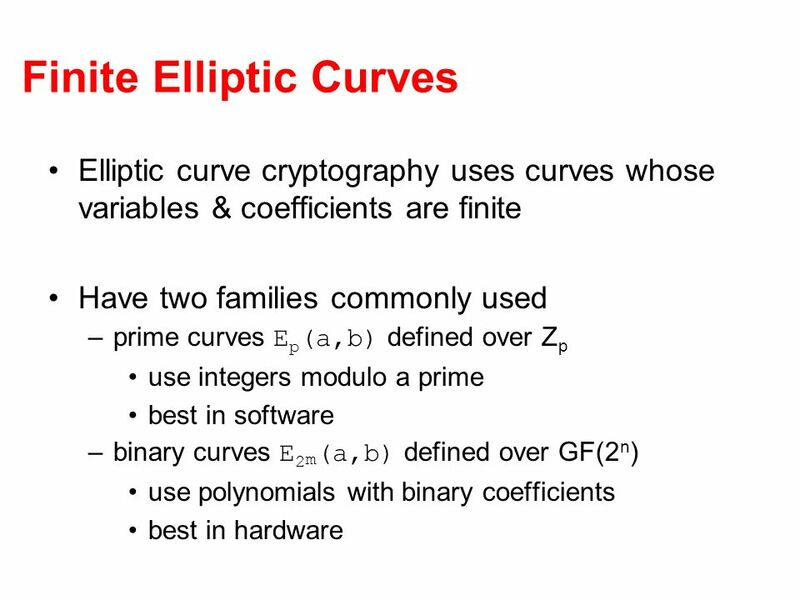 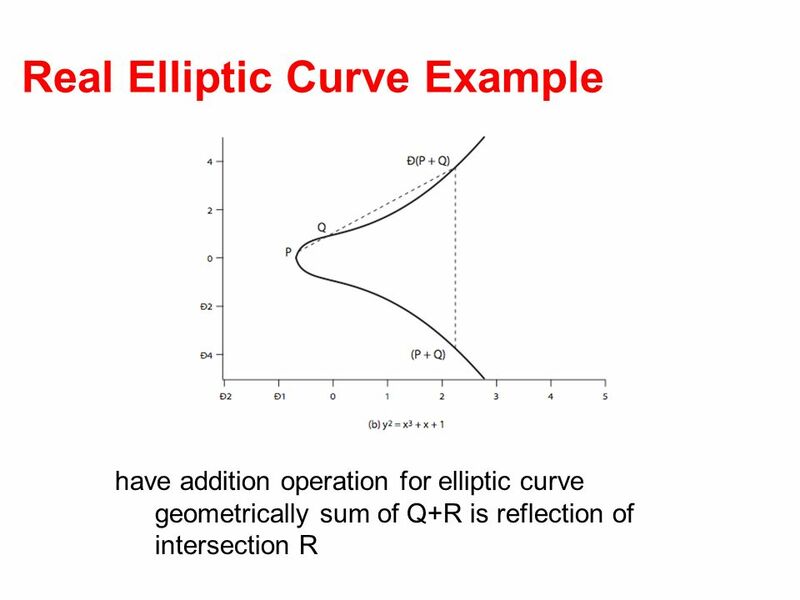 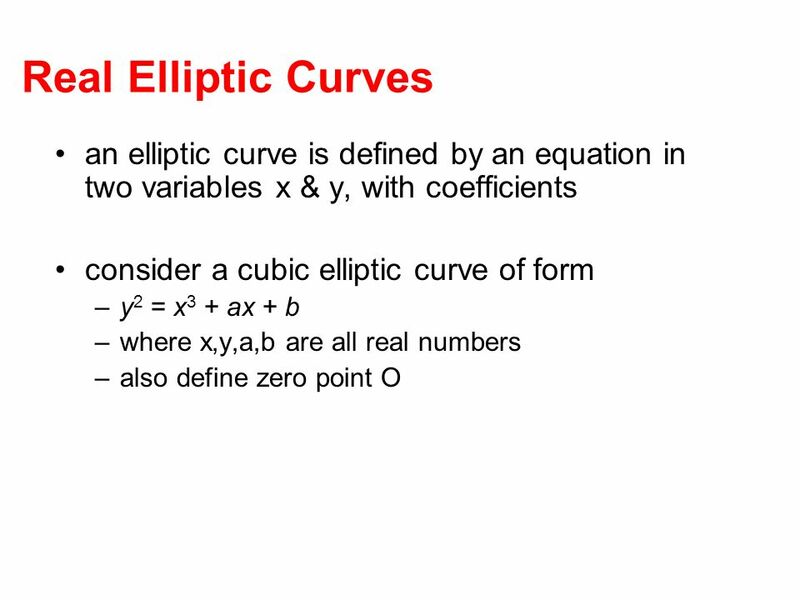 Elliptic Curve Cryptography Jen-Chang Liu, 2004 Adapted from lecture slides by Lawrie Brown Ref: RSA Security ’ s Official Guide to Cryptography. 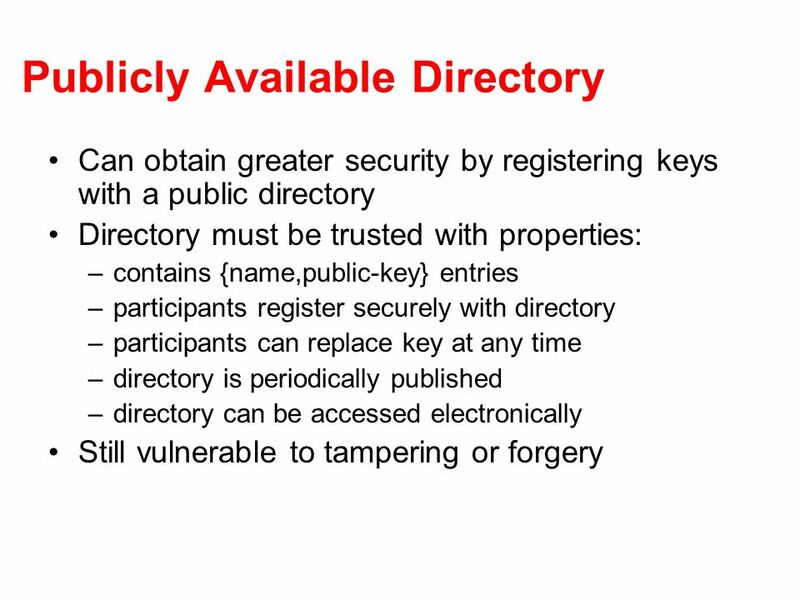 Dr. Lo’ai Tawalbeh Fall 2005 Chapter 10 – Key Management; Other Public Key Cryptosystems Dr. Lo’ai Tawalbeh Computer Engineering Department Jordan University. 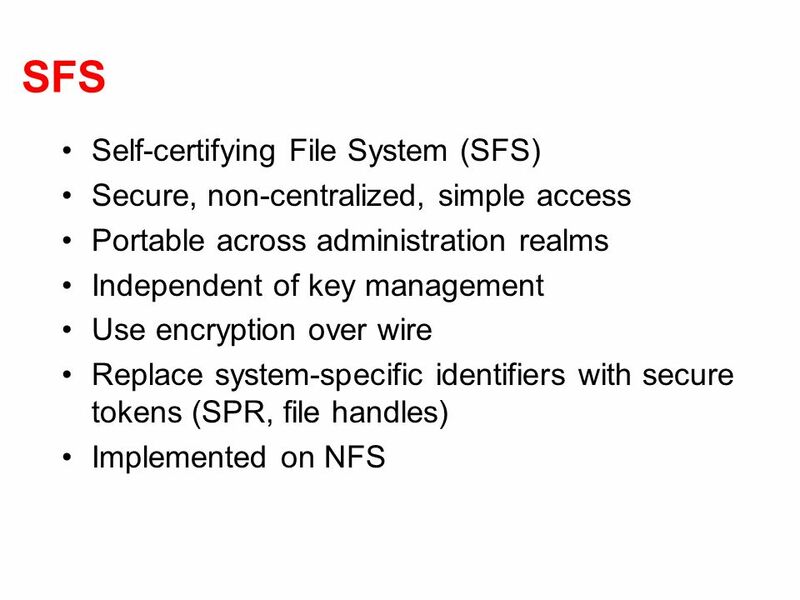 Cryptography and Network Security Chapter 10 Fourth Edition by William Stallings. 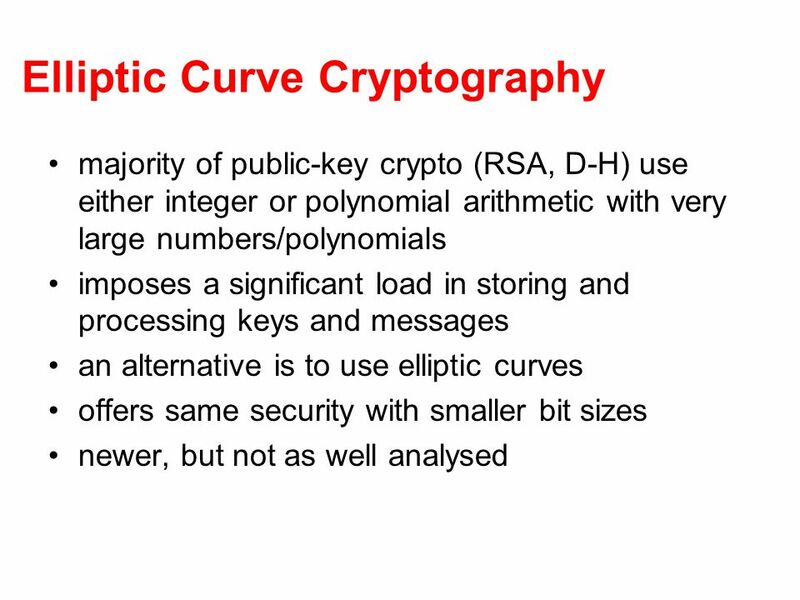 Cryptography1 CPSC 3730 Cryptography Chapter 9 Public Key Cryptography and RSA. 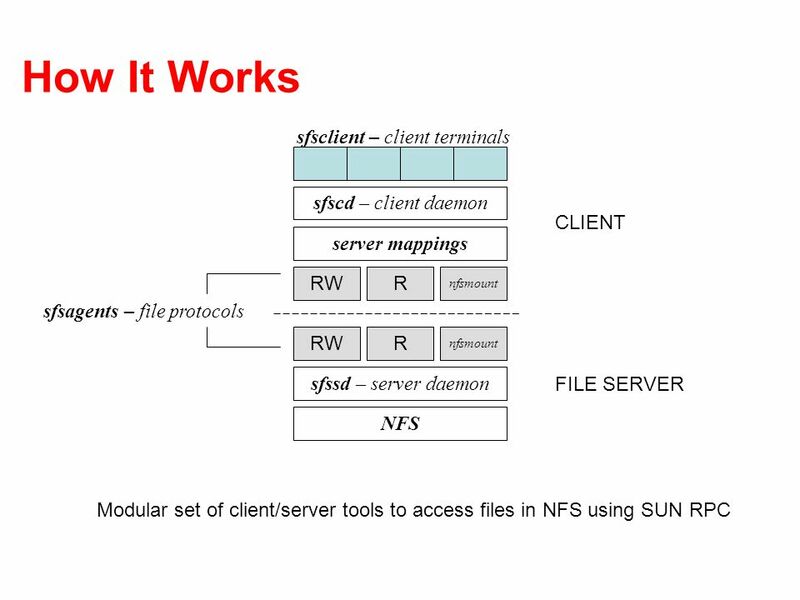 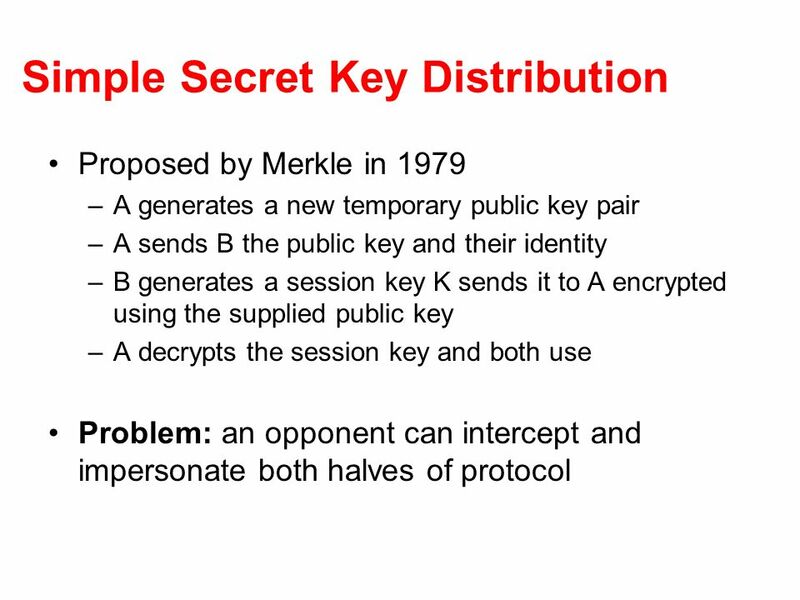 Private-Key Cryptography traditional private/secret/single key cryptography uses one key shared by both sender and receiver if this key is disclosed communications. 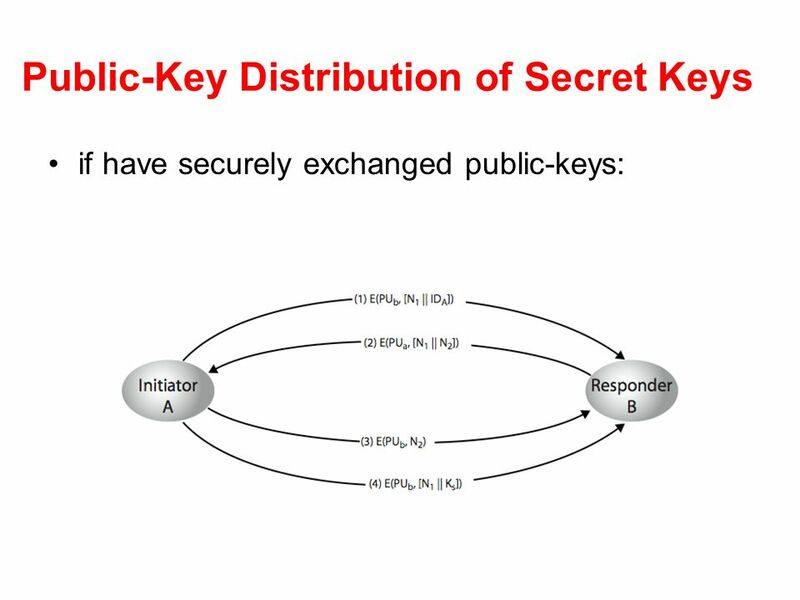 Chapter3 Public-Key Cryptography and Message Authentication. 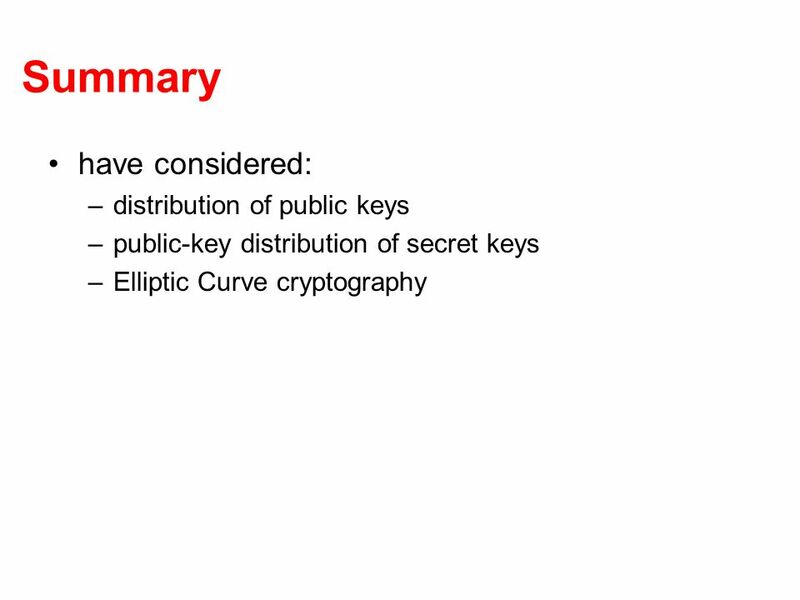 Dr.Saleem Al_Zoubi1 Cryptography and Network Security Third Edition by William Stallings Public Key Cryptography and RSA.